The Camaro is rocking at the drag strip! 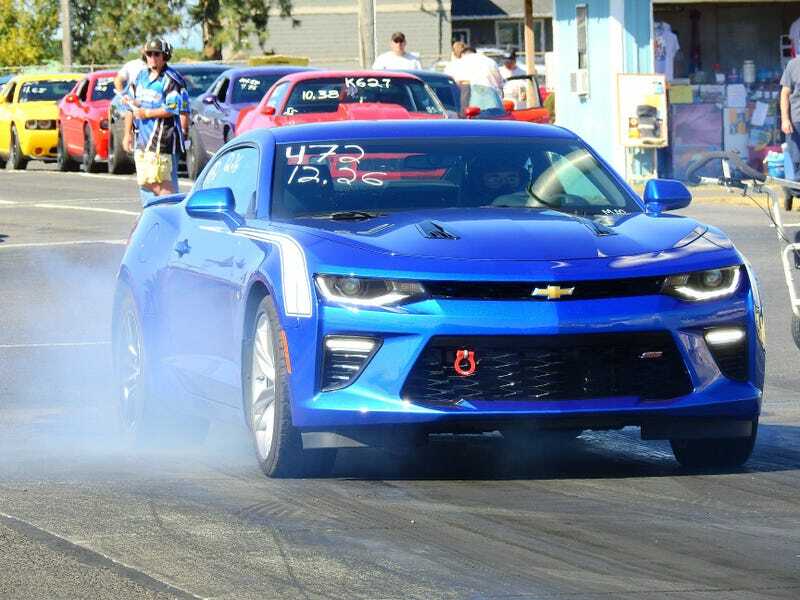 Last weekend was once race day yet again for the Modern Muscle class I compete in with my 17 Camaro SS. I won the class last month and was hoping to just get through a few rounds to help with points due to the class being full as the following day was a Mopar National event. So there were loads of Hellcats and Demon showed up and various other mopars entered to test for the following day. As well as the usual mix of Mustangs and Camaro’s. Temp wise it got to be a hot day at the track, but this time my e/t’s didnt vary as wildly. In the morning though when it was still cool, ran my personal best with the car so far. 12.21 @ 113 (pic wont rotate). Not my best reaction time as it was the first pass of the day. As we got into eliminations temps came up and car started to fall off but stayed in the 12.3's. I was shocked to keep picking up the win lights each round and soon was in the finals again for a second month and picked up the win again! The Camaro has been super consistent since switching to drag radials. The high HP cars such as ZL’1 and Hellcats are all over the board for times as they all fight traction. So far the class has been Camaro dominate after 3 events as my buddy won with his Camaro at the season opener.